Hauer Music has many different drum kits and accessories in stock from the industries leading manufacturers. From Evans Drum Heads to full drum sets from Ludwig and Pearl. 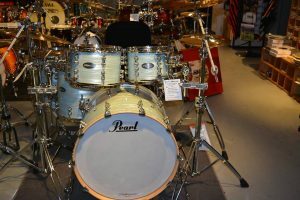 Stop by today and take a test drive on a drum kit today! We have a large selection of new and used drums and drum kits in stock. We also do free delivery and Set up within the Dayton area! 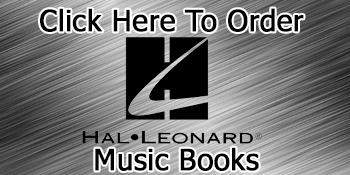 Check our accessories page for other percussion brands we carry! 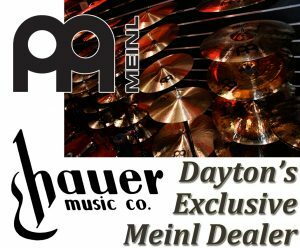 Hauer Music is the exclusive Meinl Cymbals dealer in Dayton Ohio. Meinl Cymbals offers many different series of Cymbals, Byzance, M-Series, Soundcaster, Mb20, Mb10, Mb8, Generation X, Candela, HCS and MCS. Stop by Huaer Music, the exclusive Meinl Cymbals dealer in Dayton Ohio. 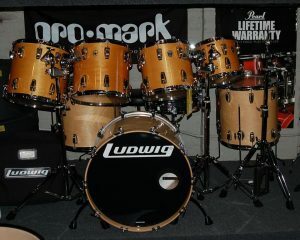 We carry Ludwig Drums Sets, Congas and Snare Drum Kits. Stop by today and take a set by Ludwig for a spin and see how they sound. 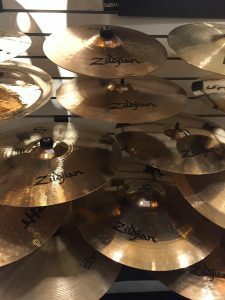 We carry a large selection of Zildjian Cymbals to complete your drum kit. 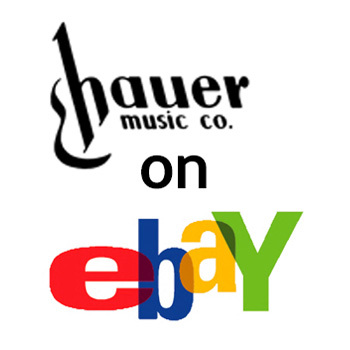 Hauer Music stocks a wide variety of products from Pearl. 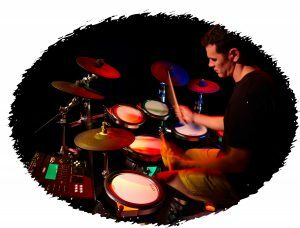 From drum sets to snare drums, cymbals to cymbal stands to drum parts and pedals and much more. 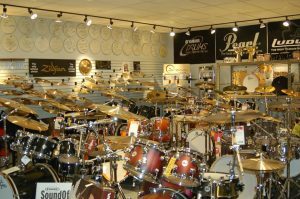 Stop by Hauer Music for all your Pearl Drum needs. Every dream cymbal is handmade. 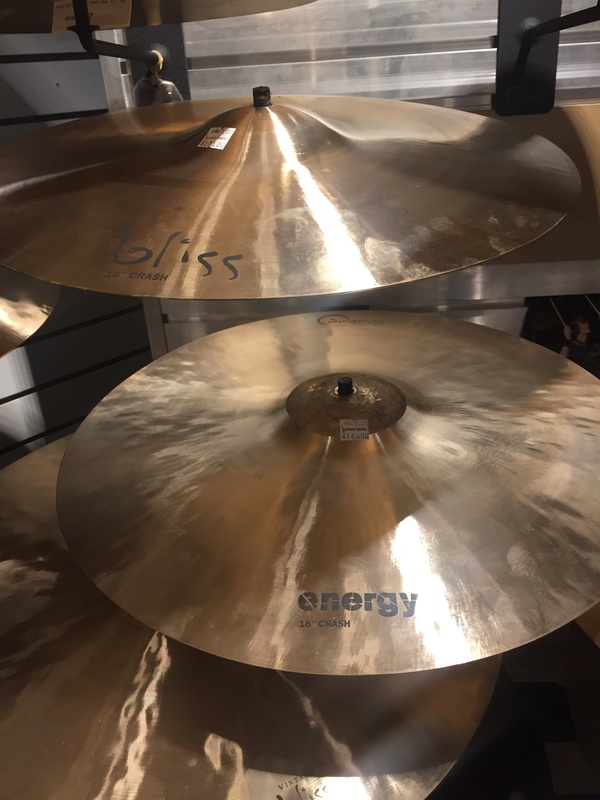 Based in Canada dream cymbals are a design of Canadian instrument designers and Chinese gong makers. Come see what dreams sound like! 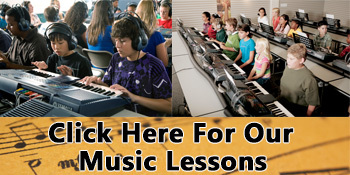 Hauer Music offers drum lessons from beginner to advanced, we can help you get the most out of your drum kit.